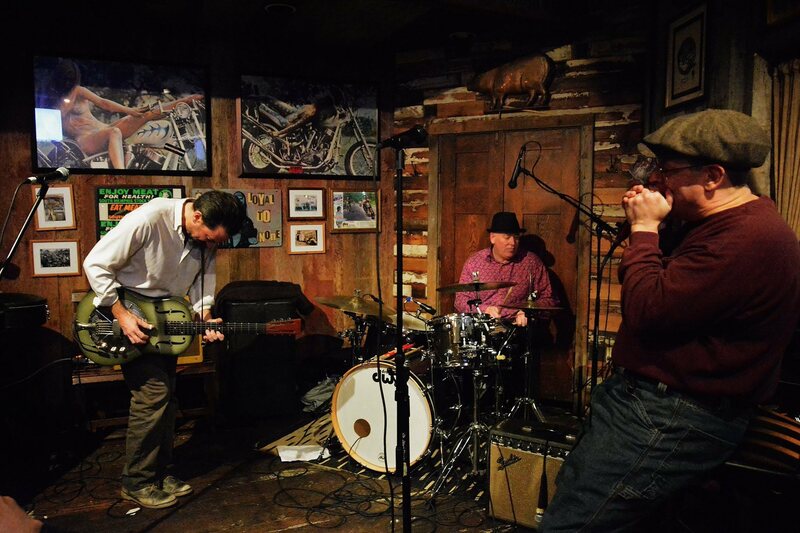 Orb Mellon mines the raw energy of 20th Century American roots music, particularly whiskey fueled house party delta blues. He performs pure, sonically aggressive original blues, free from any quaintness or historicism, prompting one early reviewer to identify his work simply as “blues in all its primeval glory.” Orb Mellon has released 3 critically acclaimed full length albums and 3 EPs and has performed extensively around the eastern United States, sharing the stage with such diverse acts as David Johansen (NY Dolls), Daddy Long Legs, and Charlie Parr in addition to being a long time touring partner of NYC holler-blues master Brownbird Rudy Relic. His work has been featured in regional, national and international press and has been included in feature films and television including the FX hit crime drama “Justified”, the HBO vampire drama “True Blood, “ and the CBS dramas “Extant” and “The Good Wife”. In 2015, the Orb Mellon Trio was formed with veteran bluesmen harp player Dave “Kosher Kid” Robbins and roots drummer Mark Hennessy. Building on Orb Mellon’s solo work, this sonically expansive trio now regularly brings its high energy original delta boogie and blues to audiences around the North East. Check out www.orbmellon.com for more details.